This home has been lovingly maintained and thoughtfully updated! 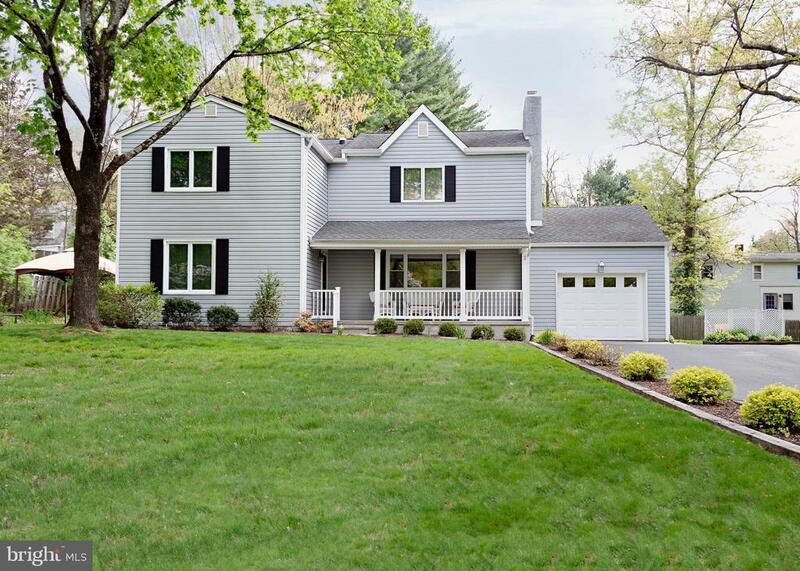 Situated in the desirable Hopewell Township community and moments from Hopewell Borough, this classic Colonial leaves nothing to do but bring your furniture. Enter the lovely covered porch into the bright and open foyer and take your pick... stroll into the stunning dining area or the beautiful living room, complete with stone-faced gas fireplace. The large eat-in kitchen is newly renovated with stainless appliances, and provides plenty of space for everyday living and entertaining. A large mudroom with side and garage entrances and a first floor den or office space complete the first floor. Upstairs is a wide open & brightly lit hallway and loads of space. Master bedroom with renovated bathroom and walk-in closet as well as a second closet. Three additional nicely sized bedrooms as well as a bonus room for another home office, guests, or play room. Storage is never an issue with an additional storage room, plus a pull down attic. Or dont forget the full basement with plenty of space for hanging out, crafting, gaming, home workshop, and more! Every system is top of the line and recently replaced, from water heater to Ecobee thermostat to solar panels on the roof. Not to mention a spacious outdoor living space, complete with paver patio. This is a must see home, centrally located in the award winning Hopewell Valley School District. Dont miss this opportunity to live close to major commuter routes, Hopewell Golf Course, Borough shopping and restaurants... this home has it all! Green Remarks: 14 years remaining on solar energy lease, transferable to new homeowner. Directions: Pennington-Hopewell Road heading towards Hopewell Borough. Cedar Dr. is on the Right. Second driveway on Right. Inclusions: W/D, Refrigerator, all window treatments., and Ecobee 4 Smart Thermostat.Tractor & Snowblower are negotiable.